Please note that all fields followed by an * must be filled in. The books are available countrywide from major bookstores including Exclusive books and Bargain books and independent booksellers. 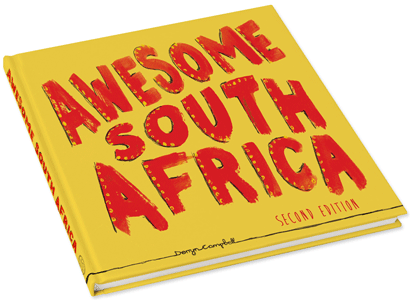 The books are stocked at the 12 Crafters Market stores throughout Johannesburg, Pretoria and Mpumalanga. Refer to their website for further details. The books are distributed to the book trade by Blue Weaver Specialist Publishers Representatives. Should you require further details on trade enquiries please fill in the form above and we will arrange for Blue Weaver to contact you. Awesome South Africa can be bought directly from the shopping cart on the Awesome SA website www.awesomesa.co.za or via the contact form above. Email your query to sales(at)Awesomesa.co.za.